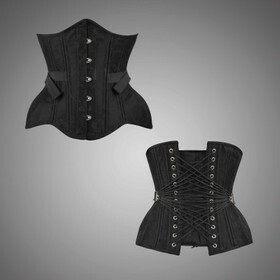 Noble full corset for women by Vintage Goth. Black cotton mix stripes fabric with black faux leather contrast trim. Front silver 5-way pistol hooks. 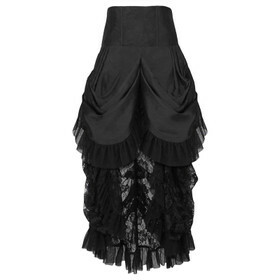 Neck-high lace up back. 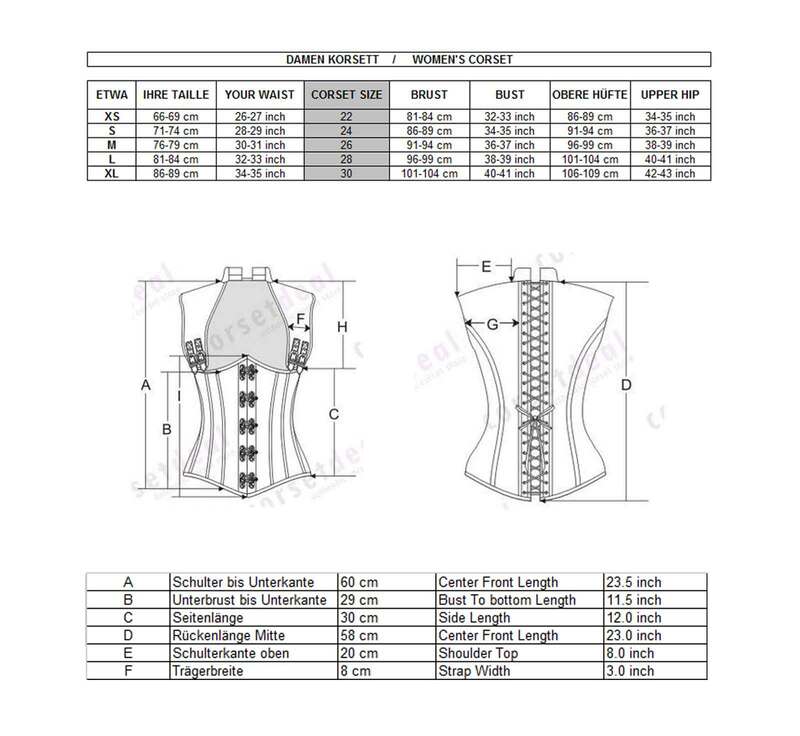 Noble full corset for women by Vintage Goth. Black cotton mix stripes fabric with black faux leather contrast trim. Front silver 5-way pistol hooks. 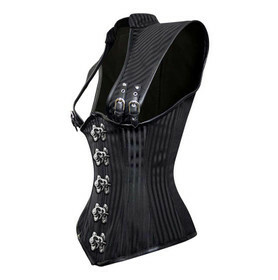 Anatomic cut corset with attached shoulders and small stand-up collar. The bust can be adjusted by buckle straps for individual bust size. Neck-high 2x22-hole lace up. Firm waistband inside plus smooth cotton lining. Integrated 8 spiral bones and 6 flat steel bones for stability. Wide modesty back panel.